All the greats were there, literally passing the torch to the newest generation of Montreal Canadiens. 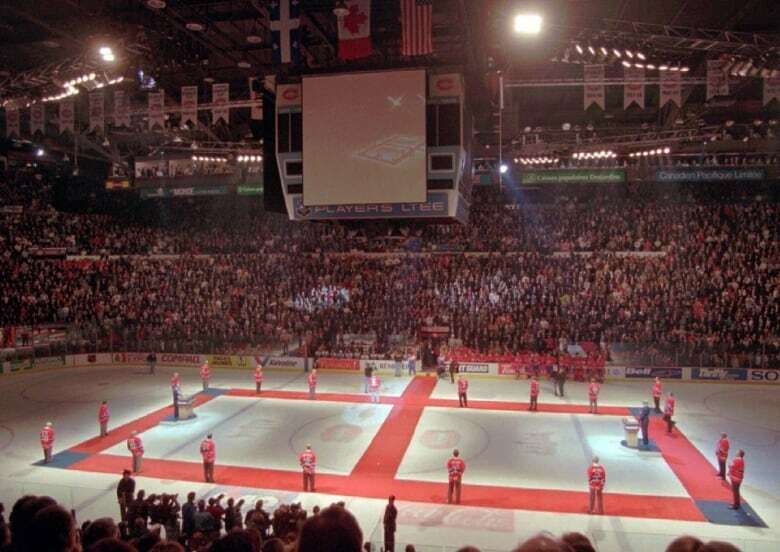 On March 11, 1996, the storied team played its last game at the Forum, a venue that had been home ice for 71 years. “There’s a lot of memories for a lot of people in this place,” said player Vincent Damphousse, a native Montrealer who had joined the team in 1992. 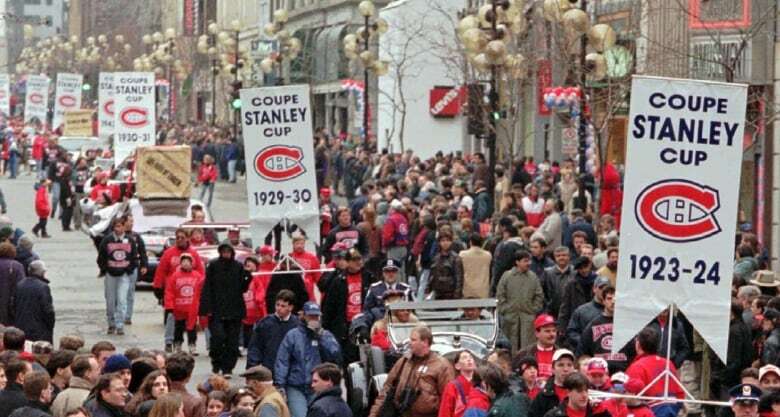 Before the puck dropped on the last game, there was a ceremony in which former team captains — Emile Bouchard, Maurice Richard, and Jean Béliveau among them — passed a torch until it was in the hands of Pierre Turgeon, who would be the first team captain in the new $230-million Molson Centre (now the Bell Centre). CBC Reporter Mark Kelley was there as fans rushed in through the gates to claim their seats for the last time. “I had great thrills in Montreal, winning the Stanley Cup and playing my first game here,” said Guy Carbonneau, a former Canadien who was by then playing with the team’s opponent for the evening, the Dallas Stars. Fans on hand felt the thrill of the place too. At one point in the ceremony, the legendary Maurice Richard was introduced to the capacity crowd of nearly 18,000 and was visibly moved by a sustained ovation. The Canadiens won the game by a score of 4-1.